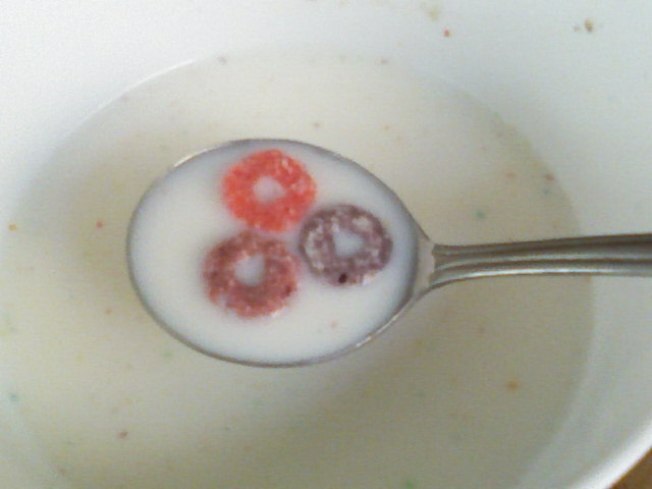 Froot Loops really don't have any fruit. Attorney General Richard Blumenthal has taken on Big Cereal and won, at least for now. He argues that calling sweet cereals, like Coco Puffs, a “smart” food choice is more cuckoo than the bird on the box. He took his battle to ConAgra Foods, General Mills, Kellogg, Kraft Foods, PepsiCo, Riviana Foods, Sun-Maid and Unilever and asked that they drop the Smart Choices logo. They have agreed to do so, Blumenthal said in a news release. At least until he’s done investigating and the U.S. Food and Drug Administration completes new standards. Blumenthal took issue with fat-saturated mayo and sugary cereals having the “Smart Choices” label. The AG says the labels mislead and confuse. “My investigation into Smart Choices, now supported by the FDA, continues to seek any scientific research or evidence behind a program that promotes mayonnaise, sugar-loaded cereal and ice cream as Smart Choices. He is looking for consumer research and selection criteria driving the Smart Choices program, as well as the process and fees involved in administering the program and any payments or developmental role that major food manufacturers might have provided for the program. So, if you thought. Hmmm. Froot Loops must be a nutritional breakfast choice because this little green check mark says so, fear not. It won't be there to persuade you, at least not any time soon.